The ground was owned by the estate of William Dudley in 1910. The neighborhood was built in 1963, and features short blocks of two-story rowhouses with basements. This neighborhood borders Morrell Park to its south. 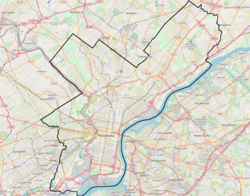 Parkwood, Philadelphia, Pennsylvania to its north. Walton Run woods to the west, and Millbrook, Philadelphia, Pennsylvania, to its east. This page was last edited on 29 October 2017, at 09:26 (UTC).